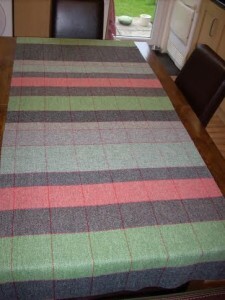 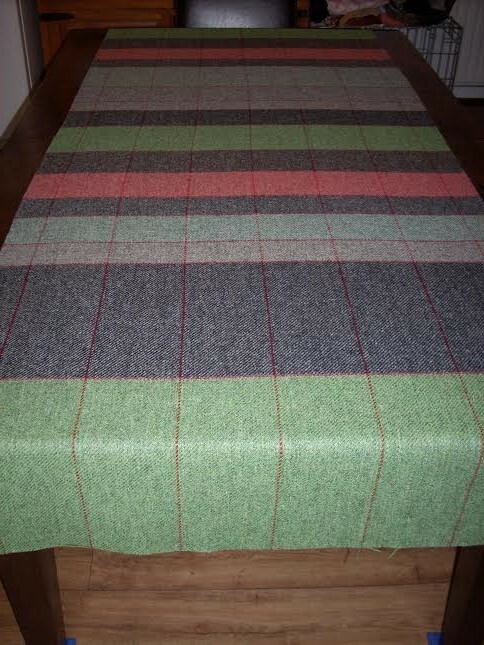 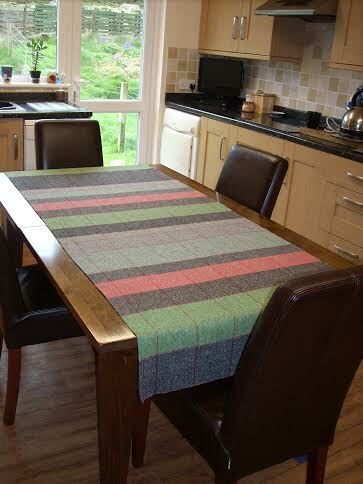 A lovely lady who lives a couple of doors from me bought some of my patchwork tweed recently. 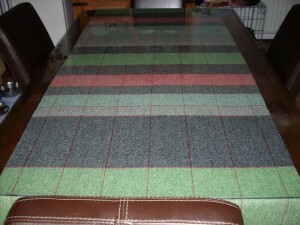 She has decided to use it as a table runner and bought some glass to sit on top of it. I received some photos today, and I’m really impressed with what she’s done!